you won't ever want to let go. My next door neighbor Bill lost the love of his life on Tuesday afternoon. She suffered from a terrible disease that took her most cherishable memories. everyday to go sit and visit with his wife at the nursing home. so fast that she didn't even recognize her own husband's face when he walked into her room. but there was nothing he could do. Everyday he went, sat and watched her fade away. When I saw Bill Thursday I instantly saw sadness in his eyes, when he told me Ida had lost her fight my heart literally ached for him. I struggled for the words to say, I knew there was nothing I could say to take his hurt away. no longer suffering and at peace. But that doesn't help his heart that was left behind. Bill and Ida's story reminds me so much of Noah and Allie's. Their love was long, strong, genuine, true and unconditional. I pray for strength for Bill and his children and I also pray for God to allow Justin and I to have a lifetime of love as strong as Bill and Ida's. This post gave me chills, sending love and prayers Bill and his family. Awww- Im sending, love, prayers, and thoughts to Bill and his family today. I just sobbed reading this. My prayers go out to Bill and his family in this time of great sorrow. Awwww! Bless his heart. How sweet though!! That's wonderful that they shared such a love & bond like that. Love it. I pray for me & my husband like you are doing as well! I will pray for Bill too! I had tears in my eyes as I was reading this. I'm so sad and sorry for his loss, but thankfully we know that they'll be seeing each other again. Aww, this is so incredibly sweet! Wow. This is such a sweet, sad, & happy story all at the same time. It's really sad for this to happen for your neighbor...especially right here around Christmas time. Dementia is one of the worst diseases - I can't imagine the love of your life not even knowing who you were! Wow. Makes you want to hug your husband a bit tighter...and I totally just told him & cried. Thanks for the reminder of how precious & short life can be. Lovely yet sad story, at least they had lived such an amazing long life full of love. What a sweet story! 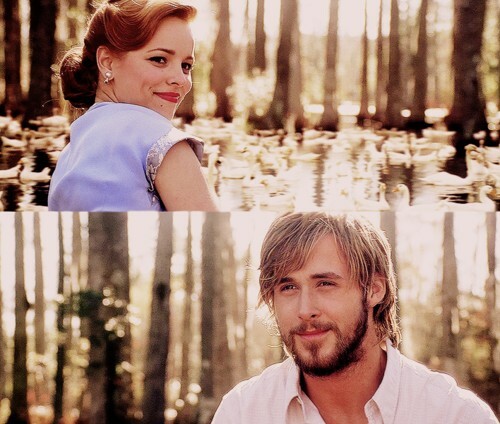 I actually just read that they are turning "The Notebook" into a Broadway show-hooray! One of my favorite movies ever!! SO romantic! Enter here to win a pair of natural turquoise earrings from Corilu!